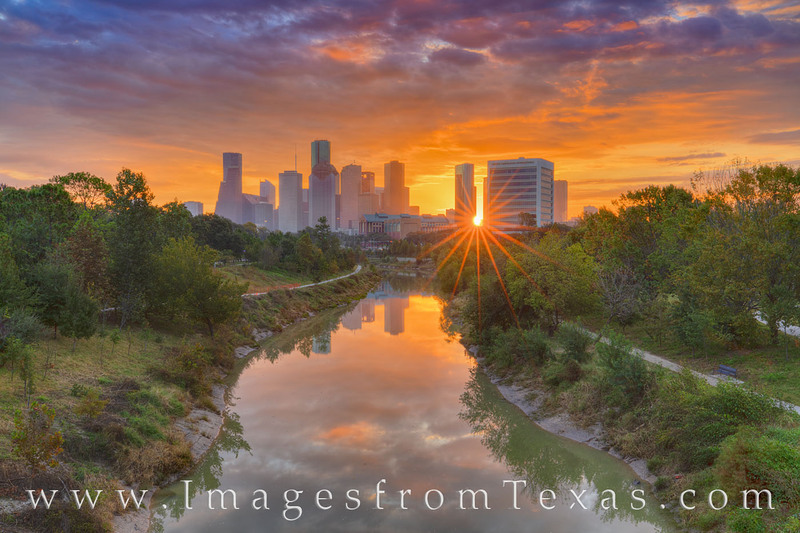 The warm glow of sunrise shines through the highrises of downtown Houston, Texas, on a cool November morning. Over the skyline and Buffalo Bayou, clouds move ahead on an impending cold front. Within an hour, temperatures would drop 15 degrees and rain would fill the rest of the day. But for a few fleeting moments, the sun offers a beautiful and colorful beginning to the day. Photo © copyright by Rob Greebon.